Gear Rail operates a centralised, multi-language, 24/7 support centre in Johannesburg, as well as regional onsite support centres and help desks in Mozambique. 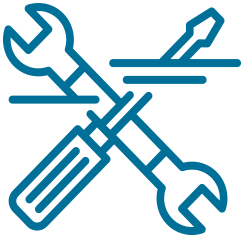 Flexible support agreements are available for our clients to ensure that support for mission critical services such as signalling systems can be guaranteed and that on-board and trackside equipment can be replaced or repaired in accordance with the agreed maintenance terms. In-country support and maintenance facilities are established as and when required by our customers.